Whoosh! You expect an elevator to take you up a building – but what about up into space? 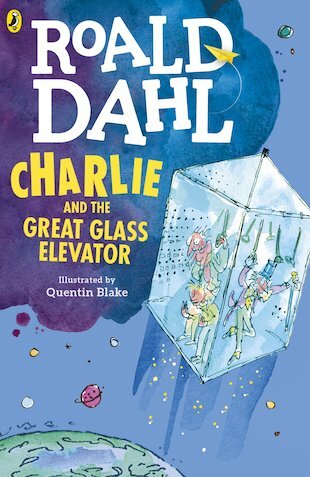 Inside the Great Glass Elevator, Willy Wonka, Charlie Bucket and his family are cruising in orbit, miles above the chocolate factory. They can see the whole world below them – but they’re not alone. The American Space Hotel has just launched, and lurking inside are the evil Vernicious Knids. Brutal? Vindictive? Murderous? All those words apply. So grab your gizzard! Hold onto your hat! Willy Wonka and Charlie are saving our world!